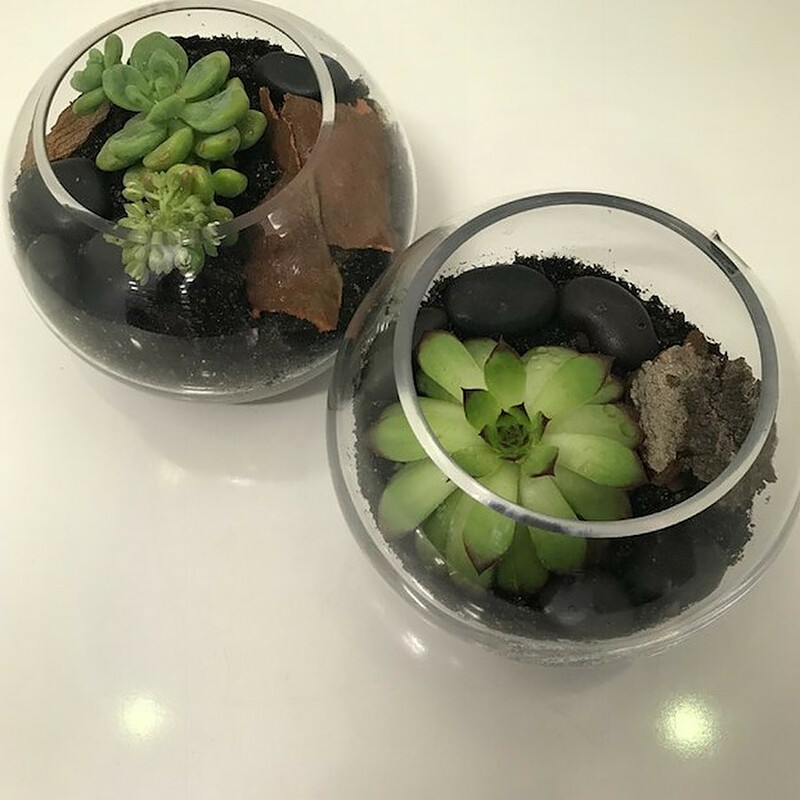 A small succlent plant arranged into a fishbowl. 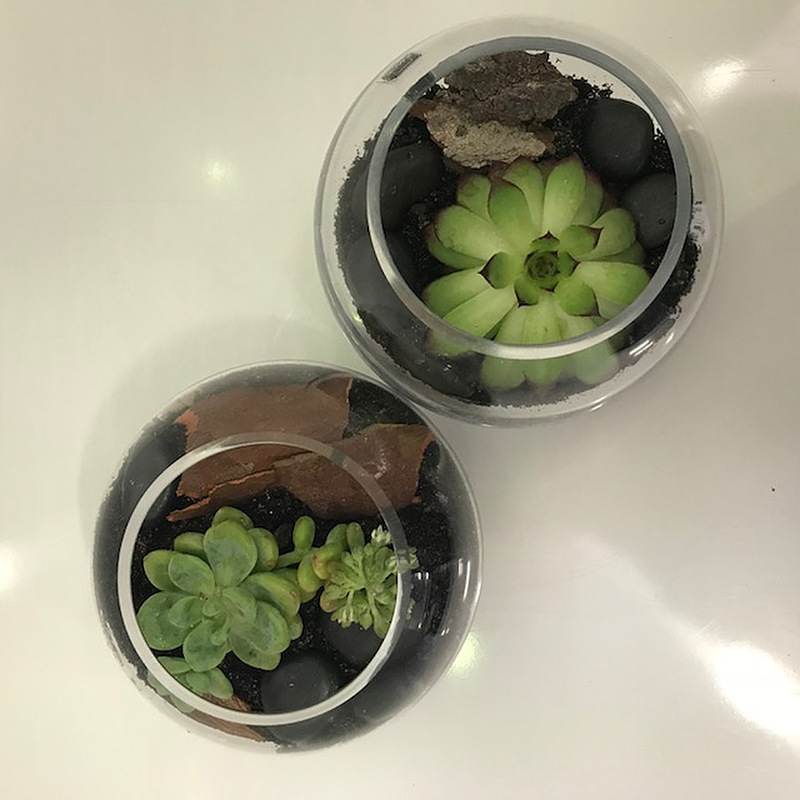 Perfect gift for an office desk! 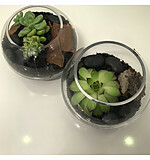 Please note succulent plants are subject to avaliablility and may be changed.